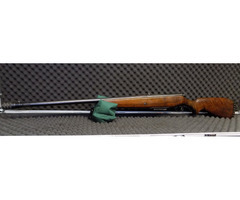 A used Mossberg model 195 Bolt action 12 ga shotgun. 2 plus one capacity with a removable mag, so section one, stock has been pinned at some time, ported barrel fitted with a vari choke. great for shooting solid slugs.